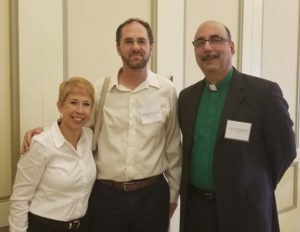 For years, the faith community has been making an impact on greening their facilities, educating their members and impacting clean energy and climate legislation. 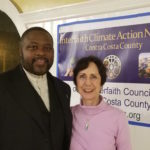 Our colleagues at Unitarian Universalist Church of Palo Alto are showing us another path to the transition to a cleaner world – large-scale solar within the Feed-In-Tariff (FIT) system. 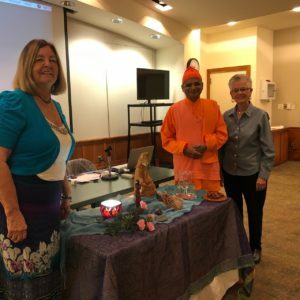 a supportive congregation that voted 100% in favor of the project. 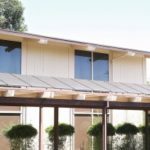 Working with the City of Palo Alto in a highly supportive and streamline process, a 233-kilowatt solar canopy system commenced on September 14, 2014. The developer for the project was Kommuna Energy of Palo Alto; the electrical contractor was Sprig Electric of San Jose; and the owner is Valta Energy in San Carlos. It was finished on July 3, 2018, and now provides electricity directly to the City of Palo Alto Utilities Department. To read more, check out this article. 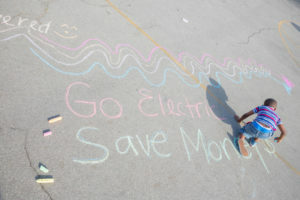 Feed-In-Tariff projects are fast becoming a staple for many utility companies in the Golden State. 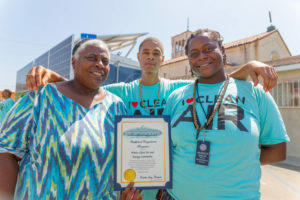 Some large utilities, are combining FIT programs with environmental justice aims, such as the rooftop solar program for low-income residents, from Los Angeles Department of Water & Power. 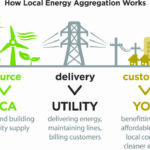 Recognizing that solar homes are often in wealthier areas, climate justice advocates are actively supporting such projects, which allow all communities to benefit from renewable – and more affordable – energy. CIPL has been active on advocacy for the production of FIT projects for years, staring in 2011 with the LADWP. To check out possible opportunities in your area, get more information on California FIT programs. Dedication to our end-of-year fundraiser priorities, including advancing our state to cleaner transportation, enabling significant investments in local renewable energy, and advancing climate resilience. Our December Volunteer Celebration in San Francisco highlighted the amazing strength, diversity, and dedication of our climate advocates. 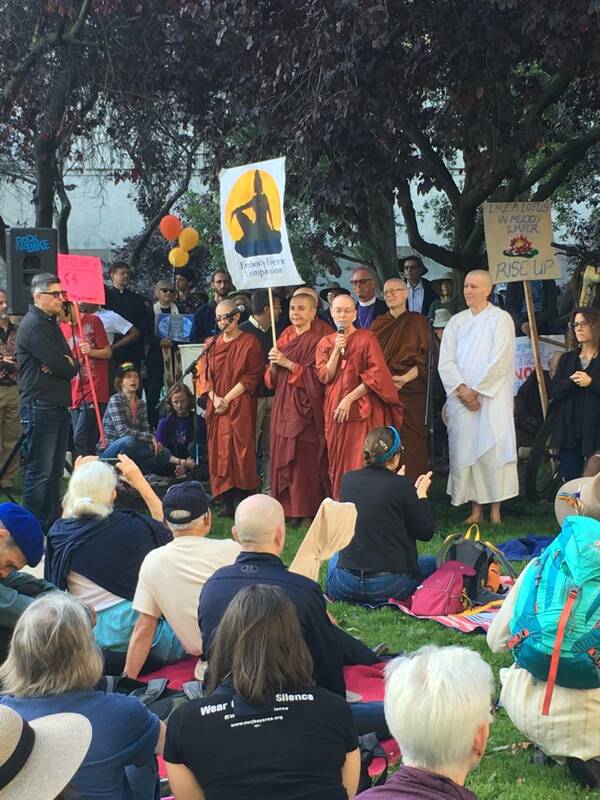 As we recognize our current sober situation, we are heartened by the perseverance and growing momentum of all of us who are working for a healthier planet. Advocates gather around Gov. Brown as he signs SB 100 into law. Susan Stephenson, CIPL ED, is on left. The goal of 100% clean energy in California is now a reality. After a two-year campaign with massive support from the faith, public health, equity, policy and environmental sectors, Senate Bill 100, which sets the target for 100% clean electrical energy by 2045, was passed and signed into law. 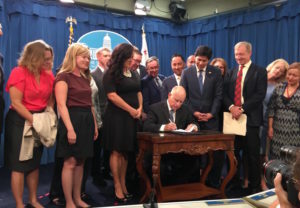 Susan Stephenson, CIPL Executive Director, was present at Governor Brown’s signing. 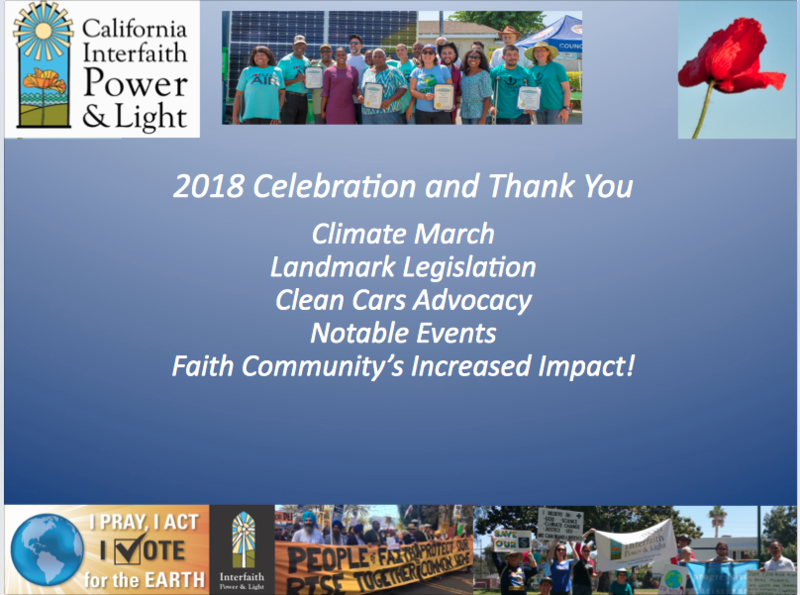 Congratulations to all California faith advocates who held events, sent letters, and did phone banking to get SB 100 passed! Under current policy, the federal government has respected California’s right to restrict new drilling operations out of state and federal waters off our coast. On January 4th, 2018, the Trump administration proposed opening up 90% of the Outer Continental Shelf (OCS) to new leasing for oil and gas production. The partner bills of AB 1175 and SB 834 will prohibit the State Lands Commission from approving any new leases authorizing oil- and gas- related infrastructure within state waters that are associated with new federal offshore leases. This bill will protect the California coast from the risks and impacts of new offshore oil and gas development, including oil spills that can threaten our coastal communities, environment, and economy. 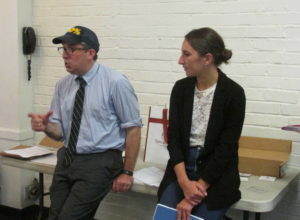 Clara Vasaix, Legislative Consultant for Kevin deLeon, and Dan Jacobsen, head of the SB 100 Coalition, advise the faith advocates in Sacramento in August. Strong greenhouse gas emissions reduction targets from all sources — energy, transportation, industry, and agriculture — leading California toward carbon neutrality. Significant investments in renewable power with the goal of 100% clean energy as soon as possible with priority for local solar and wind projects that create good jobs for Californians. 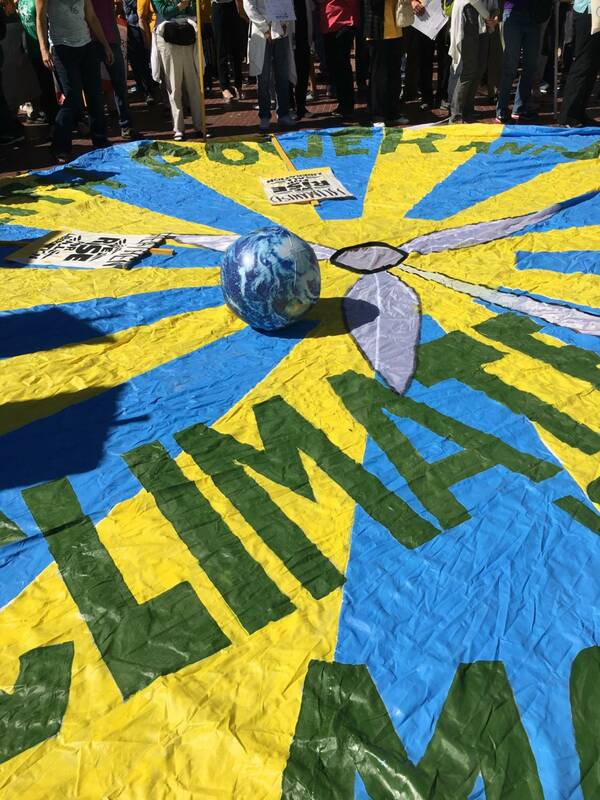 Advancing climate justice by ensuring the participation in policy decisions by those on the front lines of climate impacts and tangible benefits for communities that have borne the brunt of fossil fuel pollution. CIPL advocates gather ahead of the August 2018 Sacramento Lobby Day. 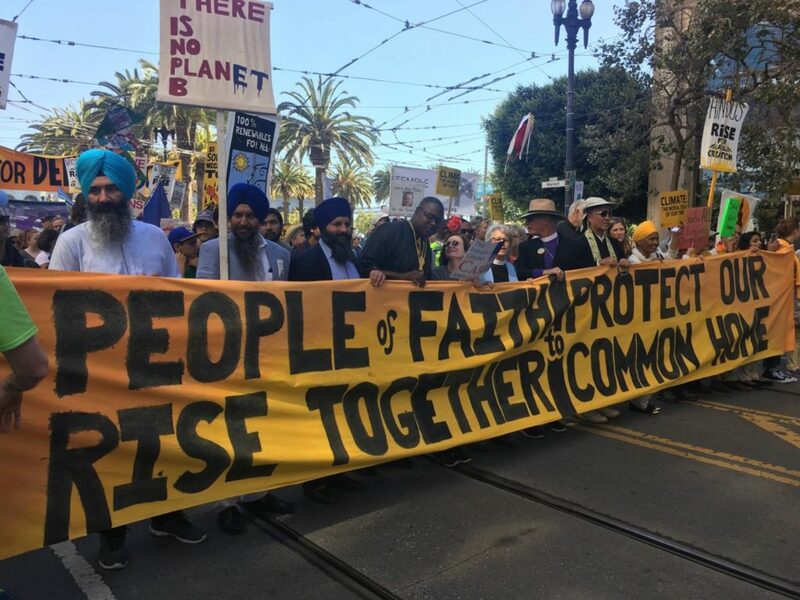 The faith community was out in full force Saturday to RISE for Climate, Jobs, and Justice. 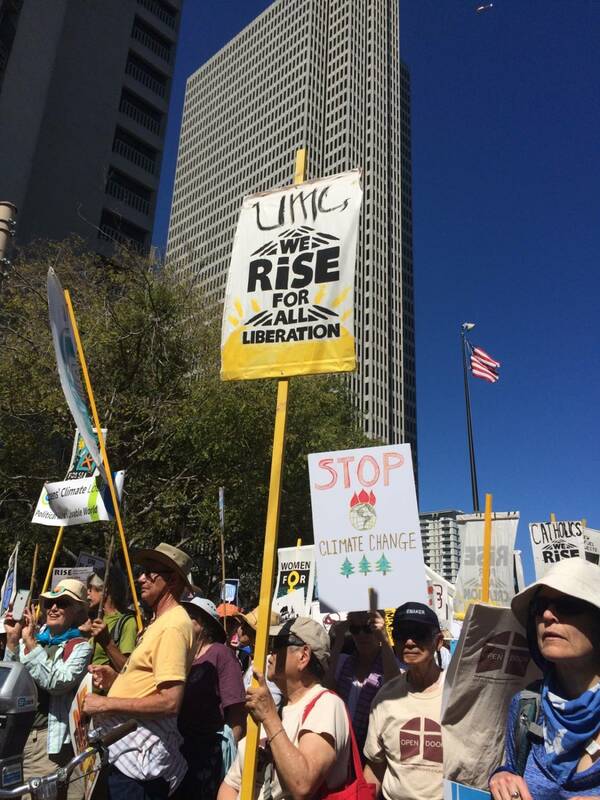 In all, some 900 marches happened in 80 countries, calling for the equitable and accelerated transition to clean energy and environmental justice. 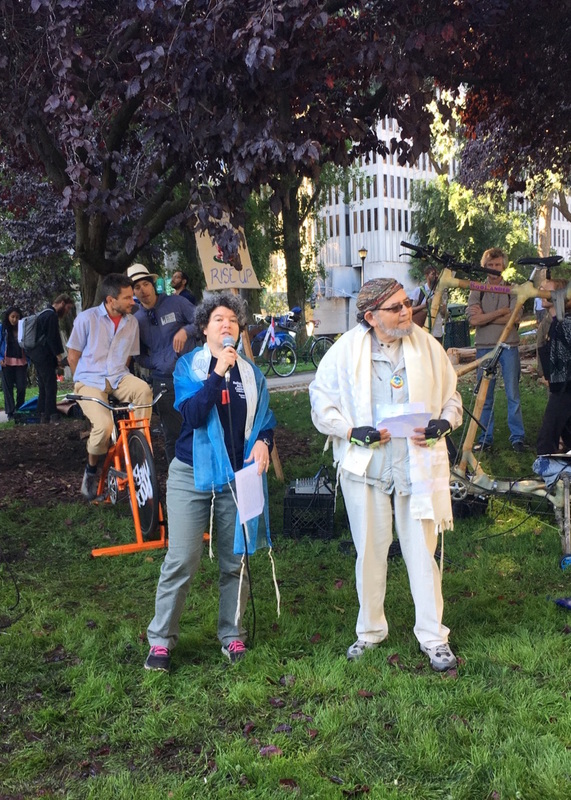 In San Francisco, CIPL staff member Liore Milgrom-Gartner was a key partner in coordinating the faith contingent of the SF RISE march, which brought some 30,000 folks to their feet. Check out some of our favorite photos below! Do you have a favorite picture of faithful folks in action during the RISE California marches? Send it to allis@interfaithpower.org.